Thanks to Michelle at So Wonderful So Marvelous for doing a guest post on me and Shaun today! We answered a few questions about our marriage in honor of Michelle's 7 year wedding anniversary. Go check it out here. Right after we met in 2005, I looked a little different back then! I was 26, Shaun was 23....in case you were curious. 2006, not sure where we are, but GO PACK! 2007, hanging out in Wisconsin Dells with the family. Love Moosejaw! 2008, at a wedding. This is the last year I dyed my hair, it was fabulous while it lasted! 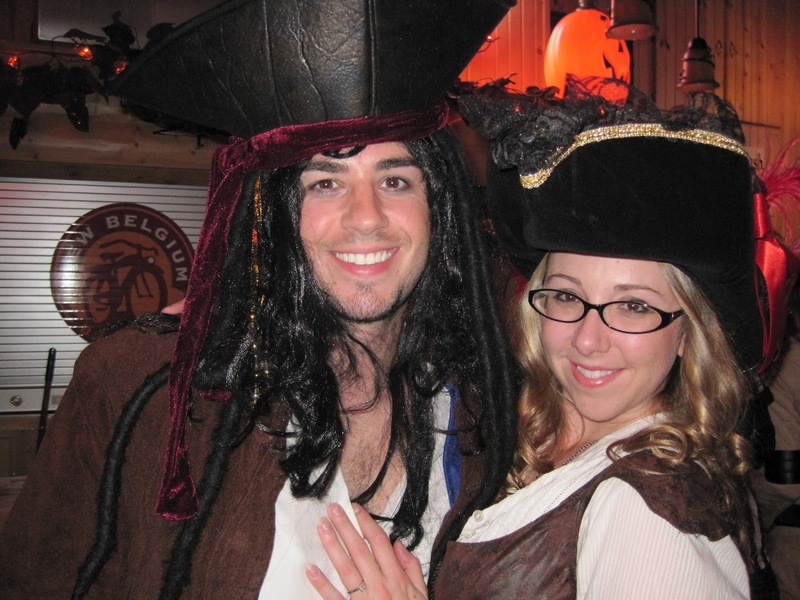 2009, apparently we didn't take any photos together other than Halloween that year. 2010, Great Lakes Beer Festival! 2011, we had so much fun at our wedding. 2012, we don't have one picture of the two of us without the baby. Well we do, but I was pregnant. Oh well. Thanks for the feature, Michelle! Your hair auburn was nice, but you look really lovely blond. You seriously have to die for hair. Cute family photo! It looks like you two had a lot of fun during your dating years! The secret to a successful marriage is patience, be careful how you say it, and forgiveness. It is hard work that needs to be worked on 24/7. Always say I love you! 2005... are those FROSTED tips Shaun??? Are they? love the hair :-) You guys are cute! Cute family photo! These are really so cute! You have a happy family, and these photos are quite inspiring. You are an adorable couple.